I received a copy of this book courtesy of the publicist, and this is actually my second review of a book by Rhys Bowen. 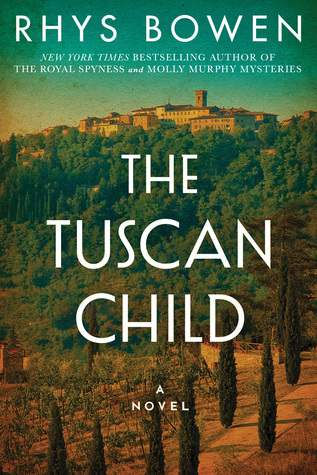 “The Tuscan Child” by Rhys Bowen is a historical fiction novel that spans and interlaces two eras: World War II and the 1970s. In 1944, a British pilot shot down by the Germans makes an emergency landing in a small Tuscan village. Hiding out in a bombed and abandoned monastery, Hugo relies on the generosity of local woman Sophia to survive. Thirty years later, Joanna has returned to the sad remains of her family’s lost manor to arrange her father’s funeral. While going through his things, she discovers hints of a love left behind in Italy. Joanna decides to try to learn more about her mysterious father’s past and travel to Tuscany herself. Bowen’s strength is clearly in recounting World War II history and, like her novel “In Farleigh Field”, she excels at capturing the decline of the English country house. The tension between the shame and the inevitability of the loss of the family home is explored in a really interesting way, and I found the Joanna’s interactions with the principal of the girls’ school that took over Langley Hall especially fascinating. The parts of the book set in Tuscany had a very different flavour. Although we don’t see much of the Tuscan countryside through Hugo’s eyes, the his relationship with Sophia is incredibly intense. When Joanna arrives in the village, I felt like although she quickly becomes immersed, her experience in is much less internal and the reader gets to enjoy a broader sense of Tuscan life and culture (inspired by Bowen’s own experiences). However, there really are two very different stories in this book: Joanna’s sad and difficult English experience, and the much more mysterious Tuscan story of her father’s. While this divide is appropriate given the divide within Hugo himself, I think at times the transition between the two stories is a bit difficult to bridge. 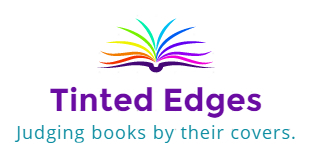 Whether you are interested in romance, historical fiction, World War II or travel writing, I think most people will get something out of this story.